If you are under 18 years old, the Illinois Office of the Secretary of State (SOS) requires you to complete an approved driver's education course before you can obtain your driver's license. Be a safe and responsible driver. Completing your driver's education course will help provide you with the safe driving skills and knowledge necessary to begin gaining driving experience with a licensed adult and eventually take on the responsibilities of driving by yourself. 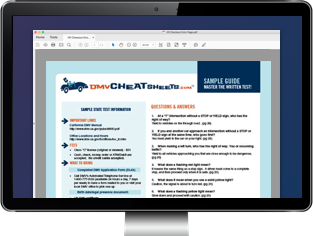 On this page you'll find information about your Illinois Driver's Ed course requirements, enrollment options and the next steps towards your first driver's license. Be enrolled in a school in the same district as your Driver's Ed course. If you're 15 years old, you must first be enrolled in a state-approved Driver's Ed course to be able to get your instruction permit. If you're 16 to 17 years old, you must have completed a state-approved Driver's Ed course prior to getting your restricted driver's license. For more information about obtaining your learner's permit, please visit our Driver's Permits in Illinois page. Illinois Driver's Ed can be taken at any public school that provides 9th to 12th grade. If you are enrolled in a private school, you may take your driver's education course at a public school within your school district where you live. Home schools are recognized as non-public schools in Illinois. You can also take Illinois Driver's Ed at a third-party state-approved provider. For more information, please contact the Illinois Secretary of State or you local school district. Currently, the state of Illinois has not approved an online Driver's Ed provider. However, completing an online Driver's Ed course may provide you with additional safe driving knowledge that can help you pass your DMV written permit test. An excellent accompaniment to your Illinois Driver's Ed course is preparing for the written exam with an online practice test. These practice tests have been created from content taken directly from the Illinois Driver Handbook. Don't waste time standing in long lines for no reason! Study with an online practice test and pass your written exam on the first try. After successful completion of your IL Driver's Ed course, your school will notify the Illinois Secretary of State, and it will be noted on your official driving record. When you turn 16 years old, you can apply for your Illinois initial driver's license. In addition to completing an Illinois Driver's Ed program, you will also need to have completed at least 50 hours of driving practice time, including 10 hours at night. For more information, please visit our Applying For a New License (Teen Drivers) in Illinois page.